The Q2 Index registered 3.6 on a 5 point scale (with 5 indicating high confidence and 1 indicating low confidence), which edged higher from the previous quarter’s index reading of 3.54. This marks USF Professor Mark Cannice's 50th consecutive quarterly survey and research report. Mark V. Cannice, department chair and professor of entrepreneurship and innovation with the University of San Francisco (USF). “Average confidence among Silicon Valley venture capitalists had a small uptick in the second quarter of 2016 as belief in the impact of venture-financed technology innovations led by determined entrepreneurs remained strong," said Mark Cannice. The Silicon Valley Venture Capitalist Confidence Index® registered 3.60 on a 5-point scale (with 5 indicating high confidence and 1 indicating low confidence) for the second quarter of 2016. This quarter’s index measurement edged higher from the previous quarter’s index reading of 3.54. This is the 50th consecutive quarterly survey and research report, providing unique quantitative and qualitative trend data and analysis on the confidence of Silicon Valley venture capitalists in the future high-growth entrepreneurial environment. 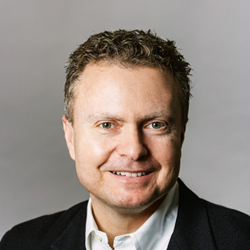 Mark Cannice, department chair and professor of entrepreneurship and innovation at the University of San Francisco (USF) School of Management, authors the research study each quarter.